Are you sick of dealing with glasses and contacts? Wouldn't it be wonderful to wake up in the morning and be able to see clearly? Have you been considering LASIK, but feel like you need some direction? Our doctors at Grin Eye Care are here to help! Here's a quick look at some of the most frequently asked questions when it comes to LASIK surgery. LASIK is a surgical procedure that uses cool waves of light to gently and precisely reshape the surface of the eye (the cornea) to correct nearsightedness, farsightedness and astigmatism. 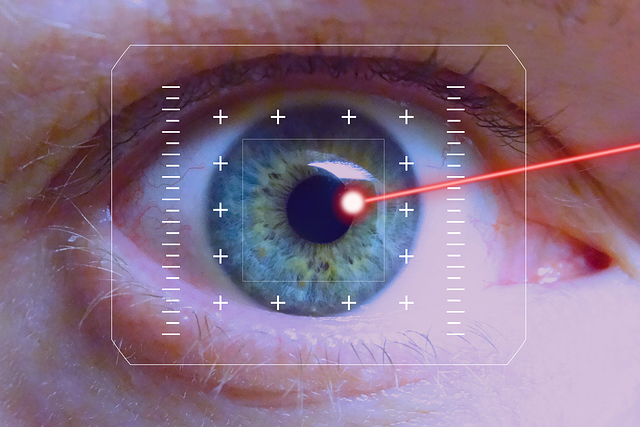 Laser vision correction is an extremely safe procedure. The risk of sight threatening complications is less than 1%. Yes! In fact, our doctors prefer to operate on both eyes the same day in most cases. While treatment with the laser itself normally takes less than a minute, the entire procedure takes around 15 minutes per eye. The majority of patients return to normal activities the day after the procedure. You will have an appointment with our doctors one day, one week and one month after the surgery in order to ensure proper healing. No! LASIK is a painless procedure. You may experience a scratchy or dry feeling following the procedure, but these symptoms are temporary. You will be given eye drops to use after your surgery in order to help alleviate any of these symptoms. Will I have dry eyes after LASIK? Some patients experience dry eyes after surgery, but this is usually temporary and can be treated with artificial tears. Dry eye issues usually resolve once the eyes have completely healed. Dryness will be addressed at your post-op visits in order to ensure optimal comfort and healing. Our doctors will advise you if LASIK surgery is a good option after you have your free LASIK Evaluation. Some of the guidelines include good overall health, healthy eyes, and stable vision. You must also be over the age of 18. If you are pregnant or nursing, you will have to wait until after you give birth and/or stop nursing because hormonal changes can temporarily change the shape of your cornea. Our LASIK surgeons, Dr. Milton Grin and Dr. Jeff Wongs, use the latest and greatest technology and have performed thousands of LASIK procedures. We offer LASIK at a competitve price and, in some cases, your insurance will help offset the cost of the procedure. A FREE LASIK evaluation is the best way to determine if this procedure is right for you. If you’re ready to get rid of those glasses and correct your vision, give us a call to schedule a visit with one of our expert doctors at either of our Leawood or Olathe locations. We look forward to seeing you and answering any questions you may have!